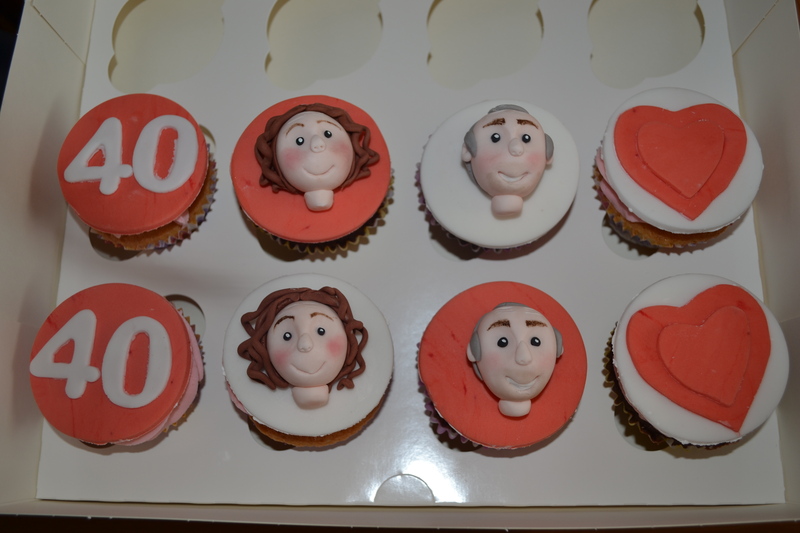 Everybody loves cupcakes and after spending time perfecting my designs and flavours, I aim to provide cakes that not only look fantastic but taste great. 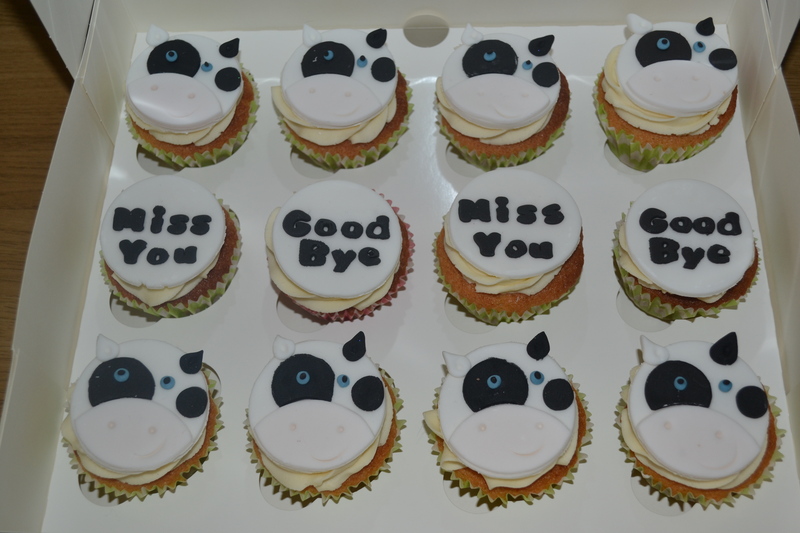 Cupcakes are an increasingly popular alternative to a traditional wedding cake and can be made into a beautiful cupcake tower centerpiece, as well as being a popular accompaniment to a th emed party cake. 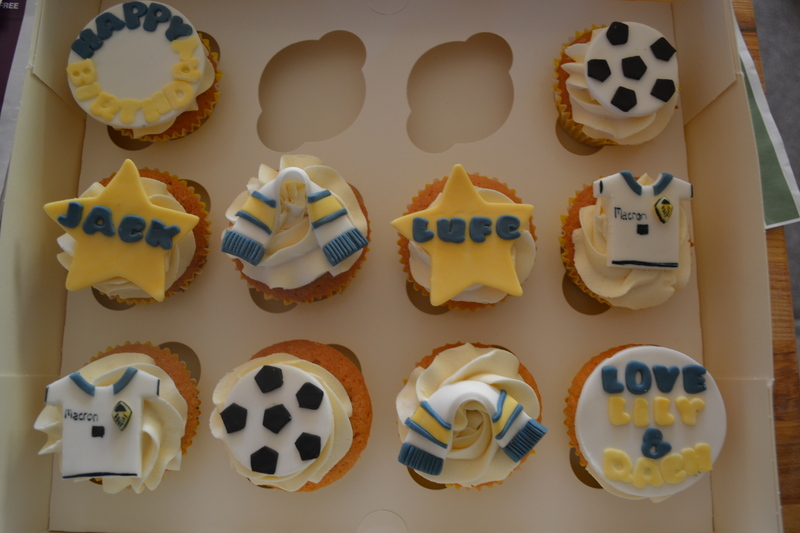 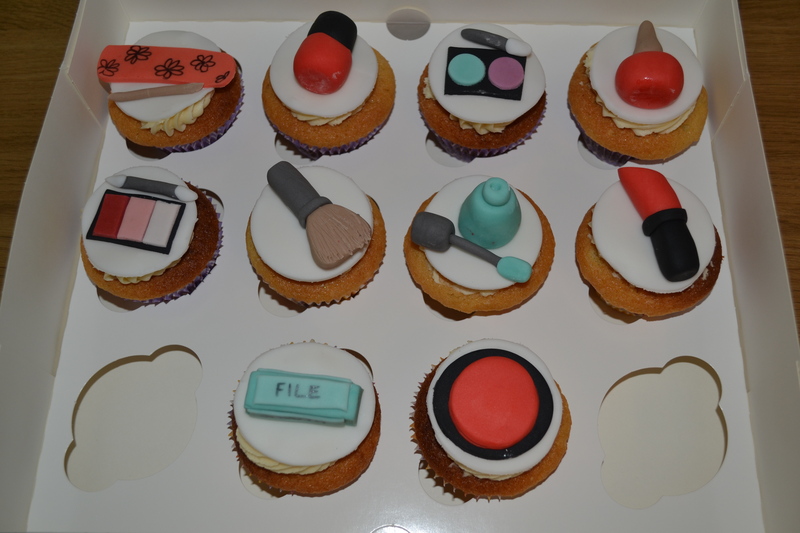 They can be topped with a range of flavoured buttercreams or sugar paste, then decorated to your own style. 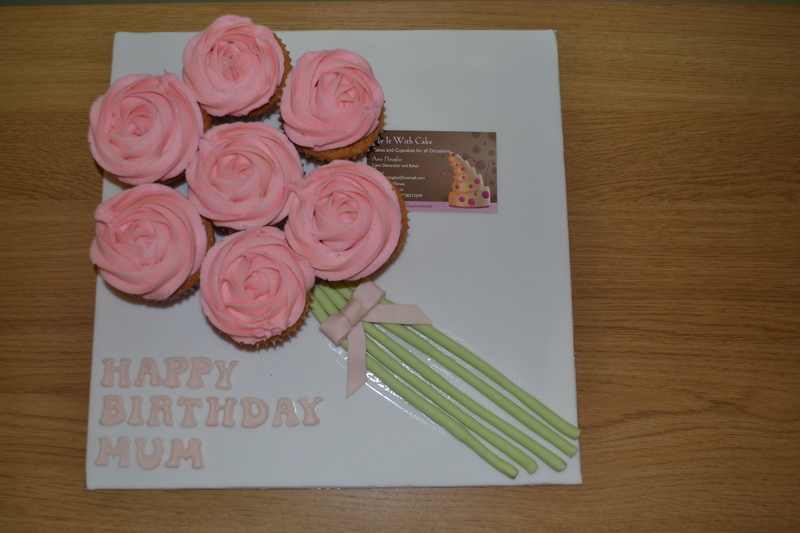 Cupcake Bouquets Boards are also a great gift idea, may not last as long as flowers but taste a whole load better, they make a lovely mothers day gift or birthday present. 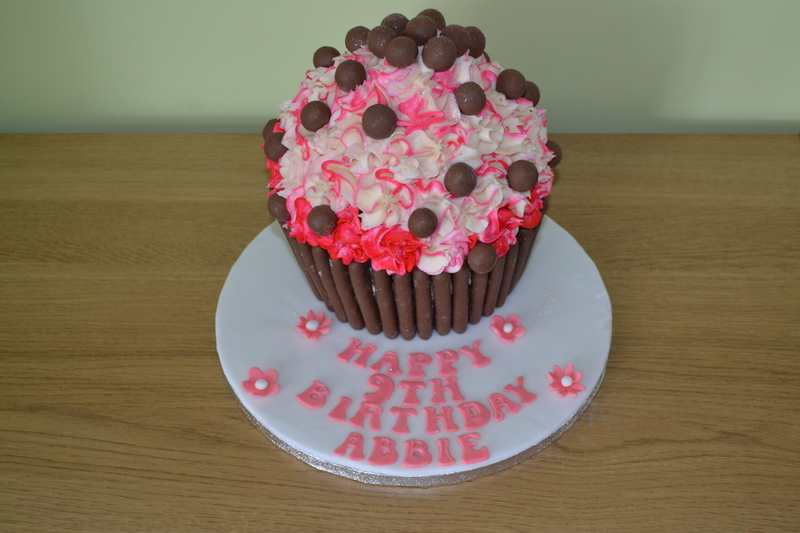 The giant cupcake is certainly a show stopper. 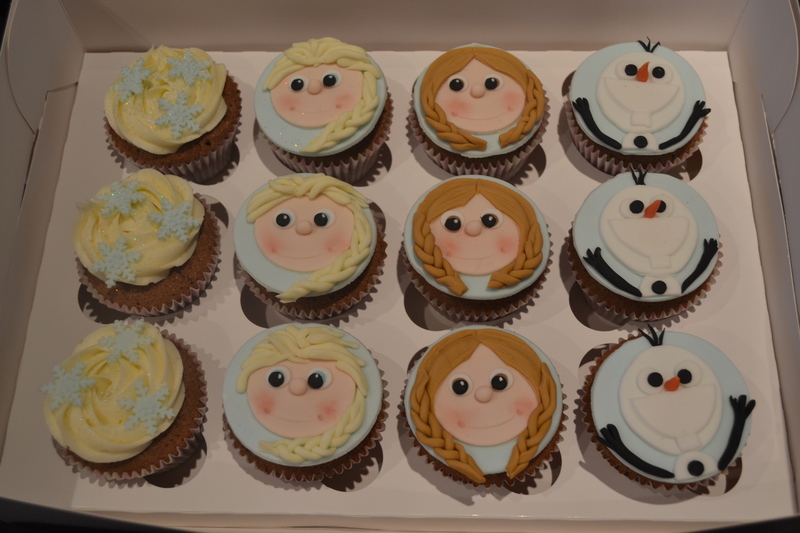 In fact it is so big you’ll have to invite a dozen friends over to help you eat it! 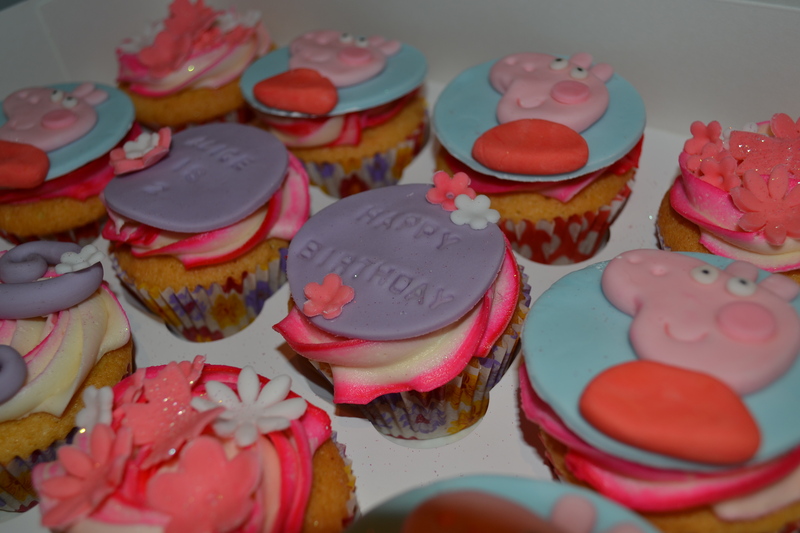 Each giant cupcake is available to order in any colour, and with decorations of your choice.